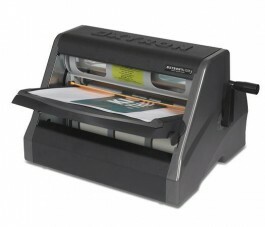 Xyron 11.75" XM1255 Laminator and Supplies - GS Direct, Inc.
Instantly applies laminate, adhesive or both without heat or electricity.Simply feed the item in, turn the handle, and trim. No smell, no mess, no waiting. For more detailed information click on PDF link below image or view demo below.